Blessings Everyone!! Thanksgiving is a wonderful time of the year. Family gatherings, family traditions being celebrated and passed from generation to generation. We also remember those that passed on before us ~ those that protect our nation so we can have our freedom. There are so many things to be thankful for. I am thankful that God loves me completely ~ that he cares even about the tiniest thing in my life when others probably don't care about those tiny things. I am thankful for the family I have, the memories we've had over the years that come to mind as the holidays approach us. I remember thanksgiving and family dinners over to my Grandmother's with the cousin's. We'd have fun and there was a table just for the "kids" as Gram would say. I am thankful that I can celebrate with family. Thankful that I'm able to host our Thanksgiving Dinner here in our home. I am thankful that I have my son ~ when our dream to have a little one seemed so far off ~ 14 1/2 years of faithfully trusting our LORD he blessed us with the news "Congratulations you're going to be a Mom!" I was so overjoyed ~ I gave the LORD our son ~ We are raising him, but he's the LORD's child. I am blessed with how our son loves family and is concerned about their needs before his own. He will go out of his way to please them, help them. I am the same in that respect. I care for friends and family needs before my own. I'm learning to slow down to take care of my needs as well as theirs. If I don't do this then I cannot be of help to them. I am thankful for my son's teachers and how they have helped him in all of his schooling years since he started at age of 2 years old. Our son's Grandmother asked him who his favorite teacher is this year. He missed the "this year" when she spoke to him. He answered without hesitation "Mrs. Kindon" because I love her. She is my friend and she helps me. While she isn't his teacher this year she is a blessing to both of us. I am thankful for our friendship with her. She and I attended school together. When our son learned that I knew his teacher while growing up he said "Oh, no! Not another one ~ I'm in trouble!" No, you're not I'd say ~ I tell him I know them yes ~ this just makes it easier for me to express your needs and concerns as well as mine. I am also thankful for our new Principal. He has been a blessing to both my son and I. He has listened to both our concerns and thankful for the decisions that have come from them. Thank you Tom Colabufo. 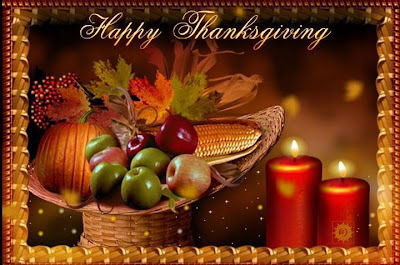 I am thankful for many other things from friends on Facebook ~ although this may not seem large it is. I say this because when you need to talk to someone or you see a need from a family member or a dear friend you're just a stroke on the keyboard away from them. If you have their phone number then you can call and speak with them. I'm thank ful for my Design Team Members from One By One as well as Thankful Thursday Design Team Members. I am thankful for the recommended friends from others ~ while I didn't always know the person ~ I have developed friendships with many. I am very thankful for my husband, my best friend, love of my life. I am thankful that we met in High School and developed a wonderful relationship. I'm thankful that I could stand by him as a NAVY wife during his enlistments, be by his side during all deployments ~ while not physically, but through letters and when he could make a phone call I'd support him. I'm thankful that we have the relationship we do ~ we have had our rough times ~ a time when our relationship almost came to an end. When that time came I am grateful that we both have the LORD in our lives and had wisdom from HIM to step back look at the situation from each other's perspective. I'm thankful that we came back to each other talked at great length to work through our "issues" we had with both sides. Now we don't have all that "intense fellowship" ~ yes we still disagree, but we have a new refreshed way of handling it when those moments arise. Our relationship is stronger because we have been through this and some other things during our time together. I am also thankful for my Cricut family ~ you all mean so much to me. I'm thankful for the friendships that have been built just with this gift of crafting. I am thankful that we can inspire each other to be creative and think "outside the box"; do something we haven't done before. I am so thankful for that. I have tried different things and thought oh I can't do that ~ then when it's completed I'm pleased with the result. I am thankful for my Weight Watchers family as well. They're a great encouragement to me in this new lifestyle journey. I have been blessed by many in our group ~ many have encouraged me to go beyond what I thought I could. This came when we had our 5k which then turned into a 10k. Then when I got home I couldn't stop walking ... lol. I had to walk some more. I thought when I went for this that I couldn't do it ~ they encouraged me ~ believed in me and I believed in myself and saw the results and was proud. I can say I have plans for my 5k's in the future!! Thank you Weight Watchers!!! Thanksgiving Blessings to you all!!! Enjoy your time with family and friends! I hope when you can that you would take a moment to comment here about your Thanksgiving traditions and things you're thankful for. God Bless!! Now to get my Thankful Album out for us to write in and get the special things on the table. Leah, I enjoyed reading your "Thankful Listings".... I hope that your Thanksgiving was wonderful, and I know you are surrounded by love.